Beyond the commitments that we make to all of our customers every day, FORMost is also dedicated to giving back to our surrounding communities. Through FORMost Gives Back, our employees and leaders come together to volunteer and fundraise for numerous local, national, and international causes. At FORMost, giving back isn’t just something we do once a year, it’s part of the fabric of our company. This breast cancer treatment funding and support organization, headquartered in Spring Grove, PA, was formed in memory of Heather Baker. Heather was a wonderful friend of FORMost who died of breast cancer in 2010. FORMost employees have volunteered at numerous Heather Baker Foundation events, in addition to making generous donations. FORMost has supported this national organization on a local level through donating and attending the Light the Night event for survivors, families who have lost loved ones, and all of the brave warriors fighting blood cancer. FORMost founding partner Ira Dwoskin is a 20-year lymphoma survivor and has been an enthusiastic participant for the past several years. FORMost employees have been walking and raising funds for the Pink Ribbon 5K for over 7 years. The Hurwitz Breast Cancer Fund at Frederick Memorial Hospital was established to ensure our community has access to the most innovative options in early detection and breast cancer treatment. Proceeds from events go straight to helping save lives in Frederick County, MD. 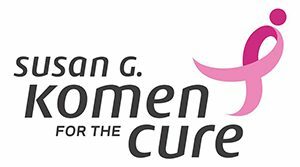 Susan G. Komen for the Cure is a premier national breast cancer research and awareness foundation. Our employees collectively raised $2,000 to participate in the 2009 Maryland Race for the Cure. Children’s National Medical Center is a provider of pediatric care for children throughout the Washington, D.C. metropolitan area. Instead of purchasing client holiday gifts, FORMost made a substantial financial contribution to support the Children’s National Medical Center. 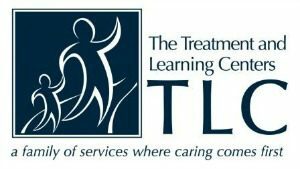 The Treatment and Learning Center (TLC) of Montgomery County is a treatment center dedicated to educating special needs children throughout the area. FORMost employees assisted with planning and managing volunteers for the annual TLC golf fundraiser, in addition to making financial contributions. The Special Olympics of Maryland provides year-round sports training and athletic competition to children and adults with intellectual disabilities. FORMost employees assisted with the annual games, in addition to contributing financially and participating in the annual golf fundraiser outing. The Montgomery College Foundation provides over $2.1 million in private scholarships to over 1,800 students every year. FORMost has participated in this annual golf fundraiser and contributed financially for over 15 years. Kevin Ryan’s Gift Foundation was formed in memory of Kevin Ryan, the son of FORMost owner, Charlie Ryan. Kevin was killed by a drunk driver during his freshman year at Towson University. This Foundation offers an annual scholarship in his memory. FORMost participates in the annual golf fundraiser in addition to making financial contributions. 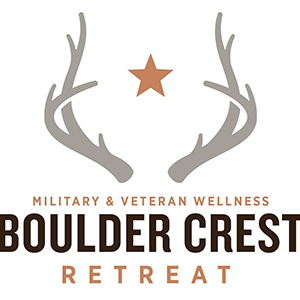 This rehabilitation retreat and treatment facility in Bluemont, VA treats wounded veterans and families. 12 members of the FORMost sales team spent a day cleaning the grounds, mucking horse fields and facilities, and helping with general chores at the retreat, in addition to making a financial contribution. This organization sends supplies, food, holiday gifts, and more to front-line US soldiers in Afghanistan. FORMost adopted four platoons over the course of three years. TAPS supports fallen US soldiers in Arlington, VA. FORMost employees have volunteered at numerous events and assisted in-warehouse. As a premier and preferred provider of Pressure Seal Forms, comprehensive graphic communications solutions, along with Print and Promotional Product solutions, FORMost Graphic Communications provides highly-customized print and marketing services to all our clients. Since 1985, we have been helping businesses to stand out from their competitors with distinguished and effective graphic solutions. To learn more about print and promotional products, or to see how we can satisfy your marketing service and print needs, contact us today.